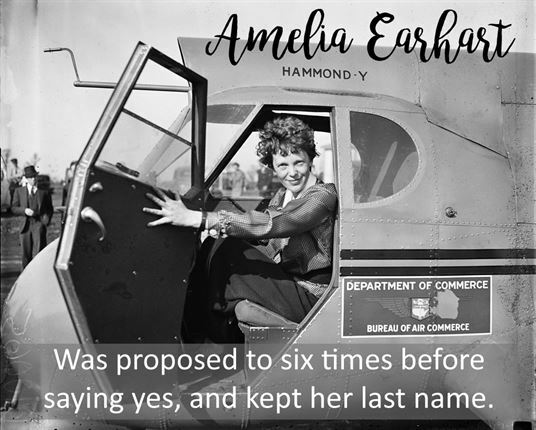 One of the most famous women travellers in history, Amelia Earhart was beloved for her tenacity as a skilled pilot. Her disappearance while trying to fly around the world has fascinated everyone for decades, but the recent discovery of a women's skeleton on a Pacific island has finally shed some light on what happened to her. Annie Kopchovsky, known as Annie Londonderry, was the first woman to cycle around the world and hustled sponsorship for her travels by letting businesses advertise on her bicycle. 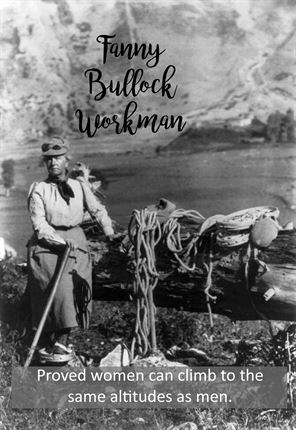 A pioneer in mountaineering, Fanny Bullock Workman travelled the world with her husband, wrote multiple books about her trips on bikes and up mountains and was a champion for women's rights. 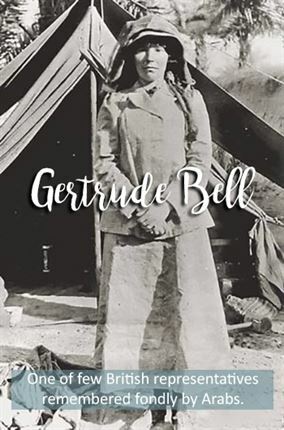 Gertrude Bell was an archaeologist who helped map the Middle East for the British imperial government, and her political influences stemmed from her close interaction with the people of Arabia, Greater Syria and Mesopotamia. 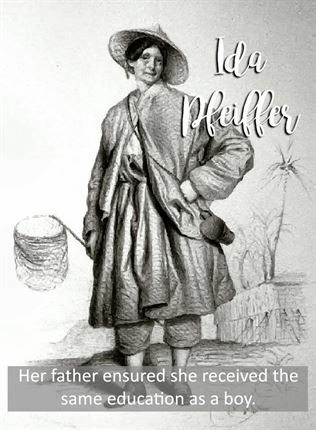 Ida Pfeiffer only started her life-long dream of exploring the world after her sons had moved out of the house, and while she was a member geographical societies in Berlin and Paris, London's Royal Geographical Society barred her entry because women weren't considered serious enough. 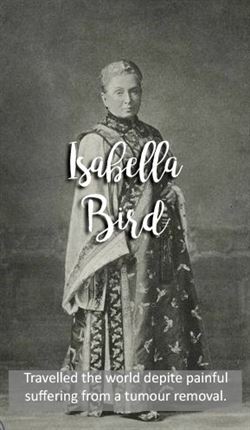 Isabella Bird managed to break through the barrier that Pfeiffer couldn't, and became the first woman to become part of the London's explorers club. 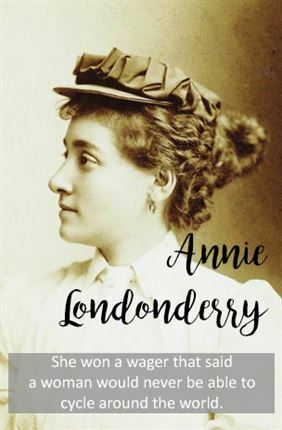 She was a Brit exploring the Americas and wrote books like A Lady's Life in the Rocky Mountains. 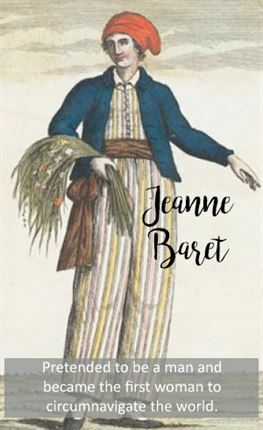 Jeanne Baret did not let her gender stop her from taking part in a worldwide journey on Louis Antoine de Bougainville's expedition around the world. She became an expert botanist on the trip, and even got a flower from Madagascar named after her although the name was replaced. 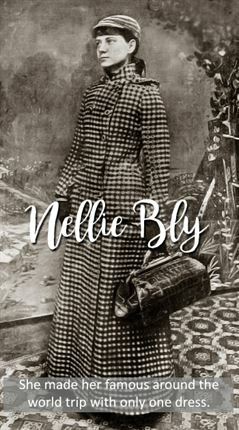 A journalist that uncovered the atrocities that went on in women's asylums, Nellie Bly also followed in the footsteps of Jules Verne's fictional novel by travelling the world in 72 days, a feat that today might sound small but back then broke the standing record. 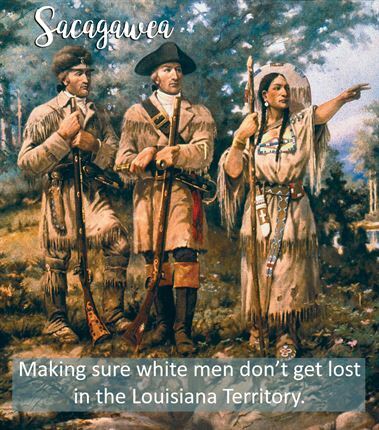 Sacagawea was a native American woman who was pivotal in guiding the famous Lewis and Clark Expedition through the Louisiana Territory - all of this with a newborn son. Her presence also showed that the expedition party was peaceful and helped ward off attacks from warring tribes. 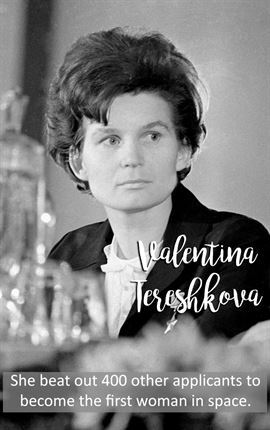 Valentina Tereshkova was a textile-factory assembly worker with a parachute hobby in Soviet Russia, who later became the first woman in space in 1963 in a solo space mission. She went into politics after retiring as a cosmonaut, and a few years ago said she would love to go to Mars on a one-way trip if she could.